Thin-walled aluminum casting for aircraft. Impeller, with very thin walls, casting from the RPM process. 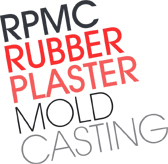 Rubber Plaster Molding (RPM), also known as plaster mold casting, offers an alternative to investment casting, sand casting and prototype die casting. 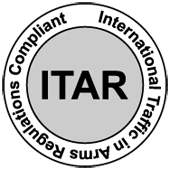 This process is suitable for both prototype and short run production quantities of aluminum and zinc parts. The Rubber Plaster Mold casting method allows Armstrong RM to produce aluminum and zinc parts in 2-5 weeks (delivery is influenced by complexity). 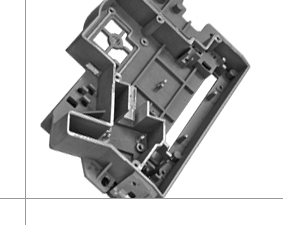 It is the best method of prototyping die cast parts with the ability to simulate both appearance and physical properties. Tooling is low cost and easily accommodates geometry modifications and design enhancements. Rubber Plaster Molding also serves as a short run production process for programs that can't cost justify hard tooling (usually less than 2000 units/year). Castings from the Rubber Plaster Mold process feature excellent surface finishes, complex geometry (including undercuts), and thin wall cross sections with an excellent weight to strength ratio. For small prototype quantities of parts that are intended to be investment cast, Rubber Plaster Molding offers an excellent alternative when time and expense are critical. With our in-house CNC machining operations, even prototypes are delivered machined to design specifications. For an alternative solution for aluminum or zinc castings, also consider our One-Shot Casting, Graphite Die Casting or Precision Airset Casting processes. For detailed specifications, view a technical data sheet for Rubber Plaster Molding. For a Rubber Plaster Molding process description, view the following information. See how Armstrong RM combines rubber, plaster and metal to manufacture products in the Rubber Plaster Molding (RPM) process. Just click on the video to the right to view the process.